My walking tour started with coffee at Fowlds Cafe, Burgess Park, Camberwell. Past London Eye and the Jubilee Gardens, across the Hungerford Bridge to the National Gallery. The Haymarket and New Zealand House - how ordinary! Onto Piccadilly Circus and swarms of people, a sandwich from M&S Fresh sitting in Green Park. 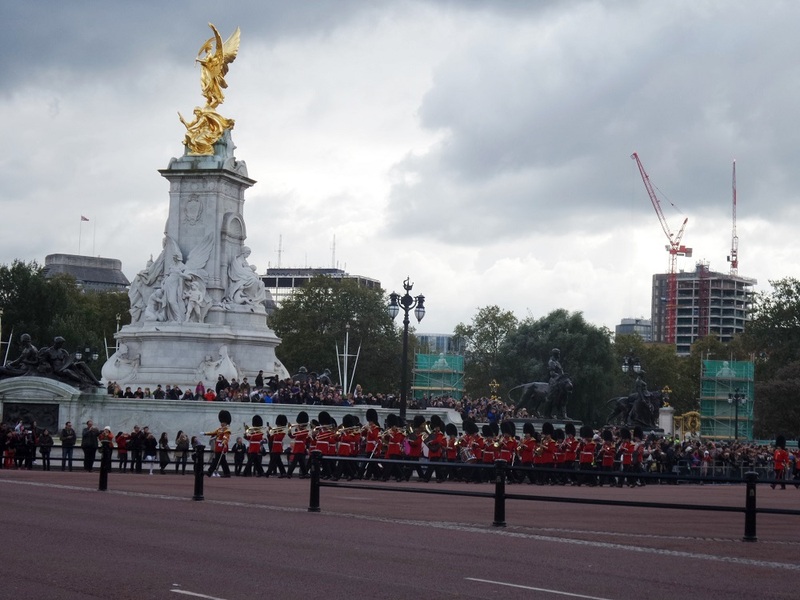 Across the park to the changing of the guard at Buckingham Palace and the Queen Victoria memorial. Into St James' Park and past the Churchill War Room, Downing Street and down Gt George Street to the Horse Guard Parade ground. 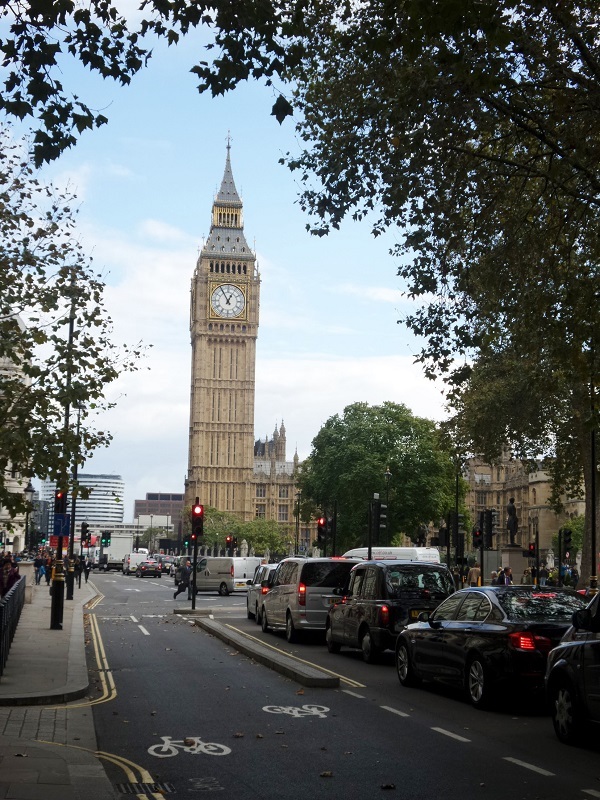 A must have photo of Big Ben and Westminster and then a walk past Westminster Abbey to Victoria Street. A bus to Hyde Park Corner and a stroll through Belgrave Square to Harrods. There must be a toilet there surely! Wine and chips at the 'Bunch of Grapes' pub and then off to the Victoria & Albert Museum on Cromwell Road, Knightsbridge. If you're interested, click here to read about this brilliant museum. A wonderful stroll around the museum for a couple of hours then back home on two buses via Vauxhall and Elephant and Castle. A quick shop at Waitrose for dinner ingredients and back to the flat for a well earned rest. Big Day! 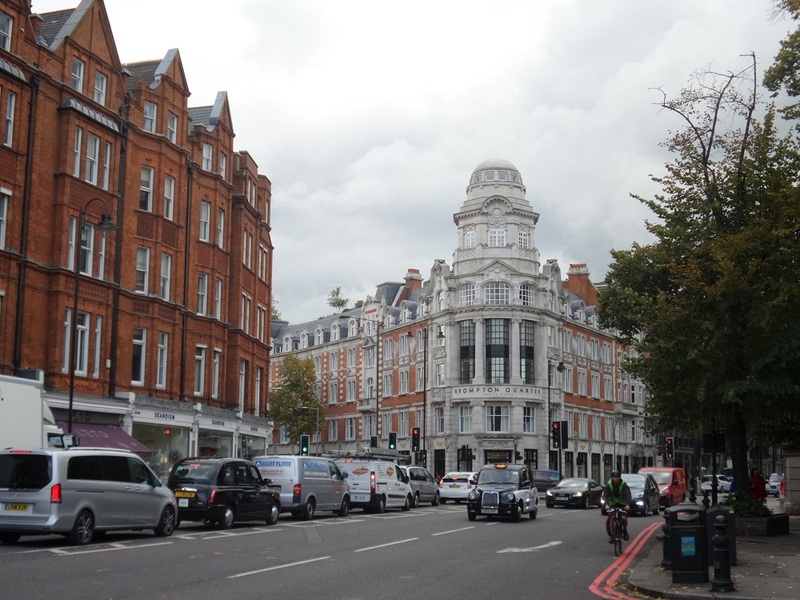 Just another London street with stunning historic architecture, black cabs, traffic and people. On my way to V&A Museum. Original generation time 0.9509 seconds.